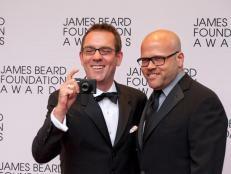 The James Beard Foundation announced the nominations for its 2015 awards Tuesday morning in a breakfast ceremony at the James Beard House in New York City. 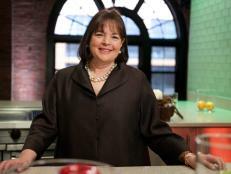 Food Network talent and shows are among the proud nominees for the prestigious awards, considered the Oscars of the food world, which honor culinary-industry leaders across 59 categories. 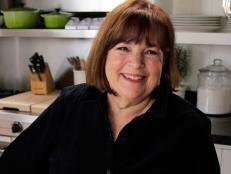 Ina Garten, who won the 2014 James Beard Foundation Award for Outstanding Personality/Host for her Food Network show Barefoot Contessa: Back to Basics, has been nominated again this year in that category for her work on the show. 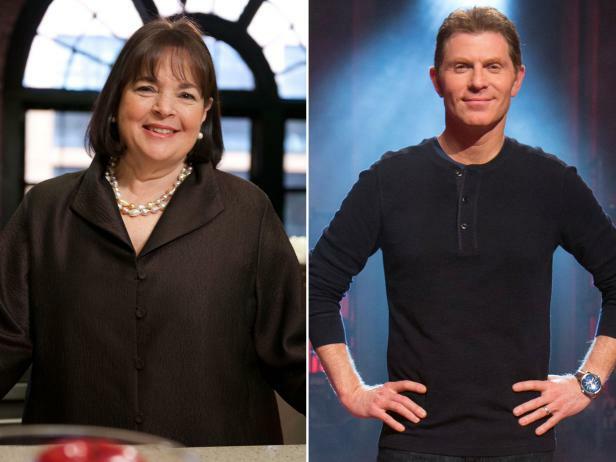 Her fellow nominees are Vivian Howard, host of A Chef’s Life on PBS, and Pete Evans, host of Moveable Feast with Fine Cooking, also on PBS. Food Network’s Bobby Flay’s Barbecue Addiction, hosted by Bobby Flay and produced by Bobby Flay and Kim Martin, is nominated in the category of Television Program, in Studio or Fixed Location. 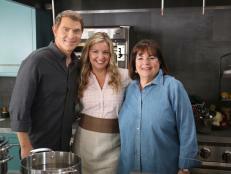 The other nominees in that category are Martha Stewart’s Cooking School and Sara’s Weeknight Meals, which both air on PBS. 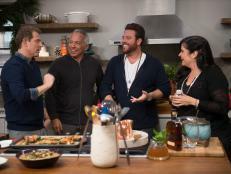 Travel Channel’s Bizarre Foods, hosted by Andrew Zimmern and produced by Andrew and Tremendous Entertainment, is nominated in the category of Television Program, on Location. 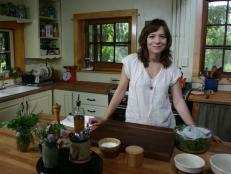 Also nominated in that category are A Chef’s Life and its fellow PBS show The Mind of a Chef, hosted by Anthony Bourdain. 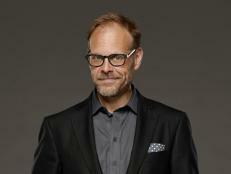 The James Beard Foundation Awards ceremony and gala reception will take place at Lyric Opera of Chicago on May 4; Alton Brown will host. 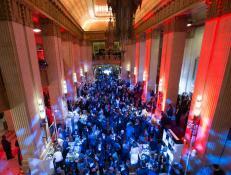 The Book, Broadcast & Journalism Awards dinner will be held in New York on April 24, hosted by Carla Hall. For a full list of nominees, click here. Our heartfelt congratulations to all the nominees. 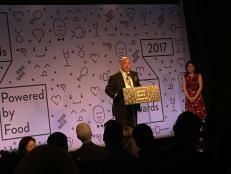 Chicago pride was on display last night at the 25th James Beard Foundation Restaurant and Chef Awards at the Windy City’s Lyric Opera.